Edward Snowden may not have acted alone, and may have had outside assistance, when he leaked information about the U.S. National Security Agency’s data collection and surveillance programs earlier this year. Snowden’s access to information he shouldn’t have known existed raises questions about whether he had help in collecting information about NSA programs, Representative Mike Rogers, a Michigan Republican and chairman of House Intelligence Committee, said Thursday. Snowden’s access to information raises a lot of questions, Rogers said. Snowden, granted political asylum in Russia, is now “in the loving arms” of a Russian intelligence agent, Rogers said. General Michael Hayden, former director of the NSA and the CIA, suggested there was another explanation for Snowden’s access. It appears Snowden was engaged in a “sustained, long-term campaign” to take information from the NSA, with the contractor moving from job to job to gain more access, Hayden said. Snowden wasn’t “suddenly offended by something he came across,” Hayden said. Snowden was responsible for pulling data to share among intelligence officers, and the information-sharing culture in U.S. intelligence agencies following the 9/11 terrorist attacks on the U.S. made it easier for someone like Snowden to see more data, he said. That explanation “isn’t inconsistent” with Rogers’ concerns about Snowden having help, Hayden added. Both Rogers and Hayden said Snowden’s leaks create serious national security problems for the U.S. There’s evidence that the leaks have prompted terrorist organizations to shift their communication strategies to avoid surveillance, Rogers said. The leaks will lead to a lack of trust in the U.S. government’s ability to keep secrets, Hayden added. “Why would anyone, domestic or foreign, be willing to have confidence in the United States to undertake anything that requires any kind of discretion ... in order to go do things that are lawful, appropriate, effective, but edgy?” he said. Hayden, responding to recent criticisms of the NSA’s dual role of surveillance and cybersecurity, defended the agency. 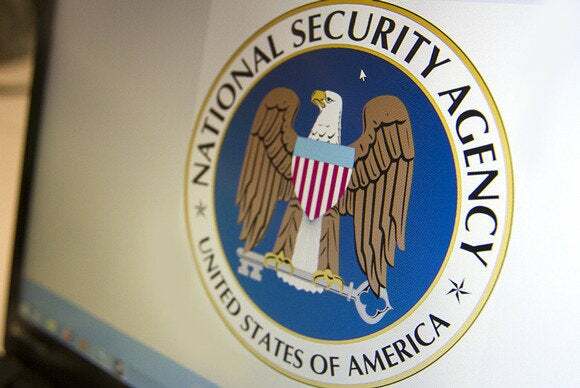 The NSA exploits vulnerabilities in communications but determines when there are vulnerabilities that “nobody but us” can take advantage of, he said.